At the Pittsburgh law firm of Dugan & Associates, P.C., our lawyers have more than 50 years of combined experience fighting to get compensation for injured people. We provide experienced workers' compensation and personal injury representation, and also assist with Social Security Disability claims. Let us help you get the compensation you deserve. Our attorneys have helped over five thousand individuals throughout Pennsylvania get the compensation they deserve which can help them to move forward with their lives. Our law firm's founder, attorney Mitchell Dugan, is listed in Pennsylvania Super Lawyers and has received an AV Preeminent peer review rating* through Martindale-Hubbell, the highest rating. When you choose us to handle your workers' compensation, personal injury or Social Security case, you can be confident that you will have experience, knowledge and skill on your side. We understand that you are facing a serious burden. It is our job to relieve you of that burden as much as possible. Your life has changed and you need money to move forward. You need proper medical treatment. We will take the time to listen to your goals and concerns, utilizing our experience in the law to attempt to maximize a recovery that makes sense for you. We like our clients involved every step of the way. As your case moves forward, we will attempt to promptly return your calls and make every effort to keep you updated on your case's progress. We offer free initial consultations so you can get started on the right foot with a dedicated Pittsburgh lawyer. You will not be asked to pay a fee unless we recover benefits or compensation for you. 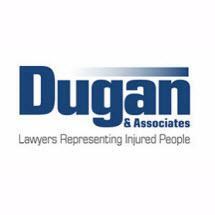 At Dugan & Associates, P.C., our Pittsburgh workers' compensation attorneys are committed to advocating for injured workers.